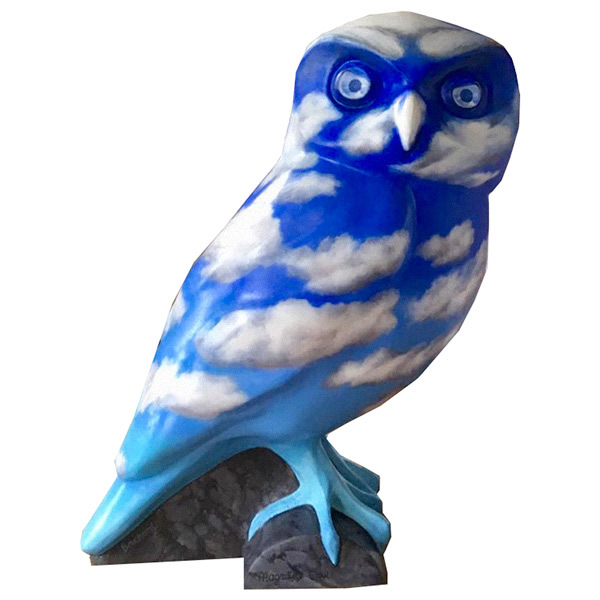 About the owl One of only four owlets to be auctioned, Magritte has been beautifully painted by Bath artist Philip Bouchard, whose paintings of Desert Landscape, Surrealism and Skies are commissioned by private art investors around the world.  The Owlet is named after the famous Belgian surrealist artist Rene Magritte, who also featured fluffy cloud skies in his paintings, and takes its inspiration from Magritte's painting of a pipe titled 'Ceci n'est pas un pipe' ('This is not a pipe'). 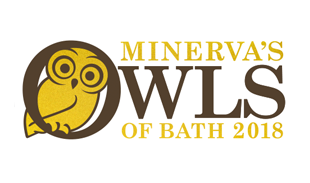 About the sponsor The Owls of Bath was delighted to sponsor Philip's owl, which has flown off to Bristol where he will be nesting in his new buyer's home. About the artist Philip and his artist wife Belinda live in the heart of historic Bath and their daughter Harriet is a sought after portrait artist who studied in Florence.